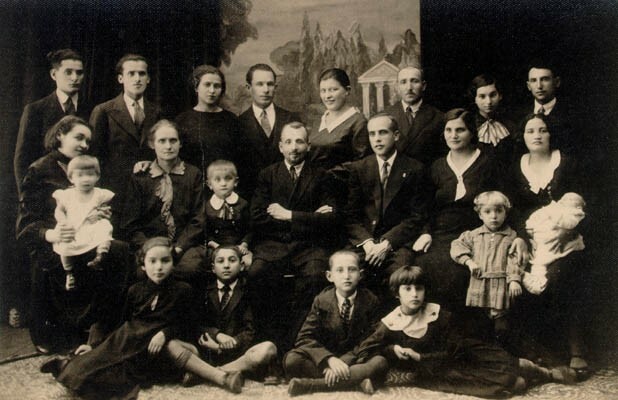 Portrait of Aron's family on his mother's side, taken when Aron's cousin moved to Israel in 1933-1934. Aron is seated second from left, bottom row. His mother, Miriam, is in the center row, second from right. Aron's father is behind her and to her right. Aron himself was 8 or 9 years old when this picture was taken in either May or June. At the time, Aron recalled, "I was thinking about going to summer camp." Slonim, Poland, 1933-1934.